Instead of waiting outside your local Best Buy on Black Friday, why not stay home and shop online? You can skip the crowds, avoid aching feet, and duck the drama of parking the car at the mall. 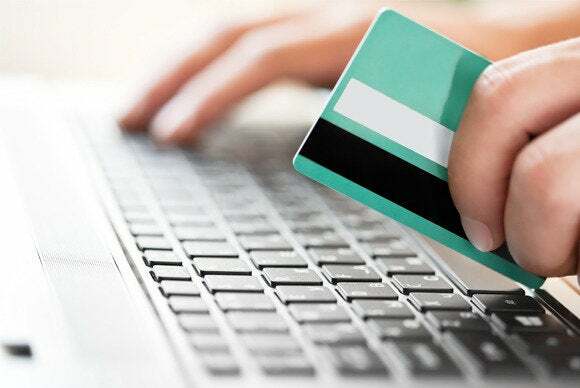 Online shoppers also have a secret weapon: Online rebate sites. These sites, such as Ebates and Swagbucks, work on the simple principle that retailers will do just about anything, including shelling out cash, to gain paying customers. The rebate sites act as referrers—they refer you to retailer’s websites, and the retailer gives them a bonus if you make a purchase. To inspire you use their sites (instead of heading directly to the retailer’s site), online rebate sites offer you a small portion of that bonus. In other words: Free money. If you make large purchases online, and you can find an online rebate site that partners with that retailer, you can earn anywhere from one to 45 percent of your money back—just by clicking through a website. On top of that, many online rebate sites will be offering additional deals for Black Friday, such as extra cashback and shopping bonuses. Additionally, do your research, and you may find that many of the fantastic deals advertised on the first day of the holiday shopping season… aren’t really deals at all. Ebates is a very straight-forward online rebate site—it focuses on cash, and only cash. The company partners with more than 1,600 retailers, including luxury department stores Nordstrom, Neiman Marcus, and Saks Fifth Avenue, as well as big-box stores Best Buy and Target. Ebates pays out its cash-back bonuses on a quarterly basis, and offers the option of a direct PayPal payment or a check. 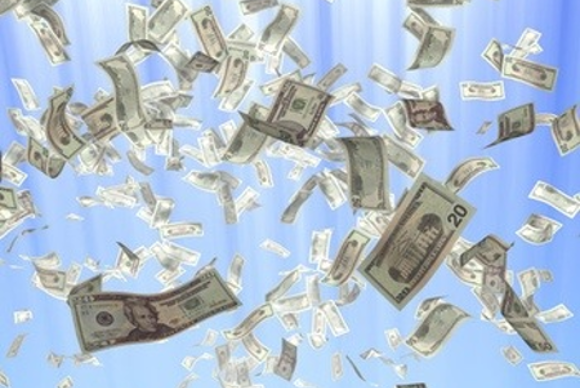 Ebates gives cash-back bonuses when members shop online. Getting started with Ebates is easy. Once you’ve signed up for a free account, you can start shopping. To qualify for an Ebates cashback bonus, simply click through the Ebates website before you make a purchase. Going through Ebates every time you want to buy something might seem like a chore, but you can simplify the process by downloading the Ebates browser add-on, which is available for the Chrome, Firefox, Internet Explorer, and Safari browsers. The add-on alerts you whenever you’re shopping on an Ebates-approved site, letting you know when you can potentially get cash back. If you’re more interested in saving money—rather than just getting cash back—FatWallet is an online rebate site with a focus on frugality. While FatWallet (which was acquired by Ebates in 2011) does have a cashback component, it’s renowned for its robust member forums. “FatWallet is for people who are more interested in saving money, and who are willing to do a little work,” says Brent Shelton, PR director at FatWallet. “We have a huge online community of people who share tips on sales, deals, and how to stack coupons.” Because FatWallet is a little more life-hack-y, Shelton explains, you’ll find more tech-oriented deals on the site. 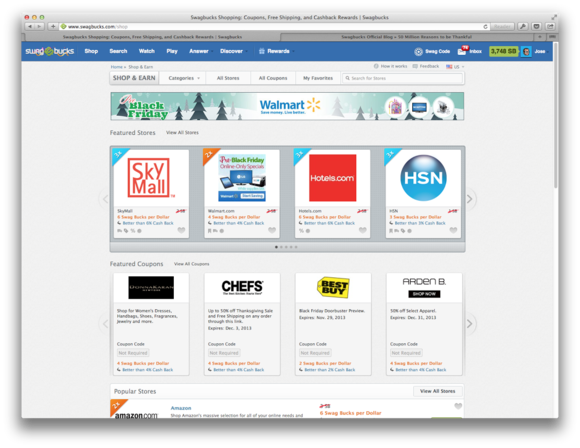 FatWallet’s partnered sites include Acer, Adorama, Apple, Best Buy, and Newegg. The FatWallet community keeps up to date on deals via the site's forums. Using FatWallet is similar to Ebates—just sign up for a free FatWallet account, and then click through the website before you make any purchases at qualifying sites. You can also participate in the online forums, browse coupons, and find nearby deals from sites such as Groupon, LivingSocial, and Amazon Local. For Black Friday, FatWallet has a dedicated Black Friday Deal Finder app, which should make shopping and comparing easier if you happen to be in a physical store. The app does offer some cashback capabilities, but Shelton warns that the best way to ensure you’ll get cash back is to go through FatWallet’s website. Swagbucks is a little different from Ebates and FatWallet. While those sites are focused on shopping—and subsequently earning cash back—Swagbucks offers multiple ways to earn “SwagBucks,” the website’s internal currency. Don’t get me wrong—Swagbucks does have a robust online shop-and-earn section, which features stores such as Amazon, Bloomingdale’s Hotels.com, Kohl’s, and Target. But there are also tons of other ways to earn SwagBucks, which you can trade in for gift cards and cash (one SwagBuck is approximately one cent). Other ways to earn include searching through the Swagbucks search engine (perfect for looking for Black Friday deals), answering surveys and polls, playing games, watching videos, and signing up for sponsored offers. Shop and earn by using the Swagbucks site. To get started with Swagbucks, sign up for a free account and start earning. You’ll earn at least one SwagBuck just for logging in every day, and more if you use the Swagbucks toolbaror answer the site’s daily poll. Like the other online rebates sites, earning money from Swagbucks’ shop-and-earn program requires that you click through its website to a qualifying retailer. When you have enough SwagBucks, you can trade them in for a gift card, PayPal payment, or Swagbucks swag. You can also earn SwagBucks offline when you shop with the company’s credit card, which gives you 1.25 SwagBucks on every purchase. For Black Friday, Swagbucks will offer triple SwagBucks on all of its participating shop-and-earn stores. According to Swagbucks COO and co-founder Scott Dudelson, the company will also give away free SwagBucks to its members on Black Friday via various social-media channels. In other words, just hanging around Swagbucks’ website or its Facebook page could get you some extra cash. Want to earn even more cash back? Use Plink, a rewards program that links to your credit or debit card and gives you points for making purchases—online or offline. Plink is simple to use. Just sign up for a free account and link your debit or credit card (you can only link one card, so choose the one you use most often). Once you’ve linked a card, all you have to do is…buy things using that card. You’ll only earn Plink Points when you make qualifying purchases at partnered retailers, but you don’t really have to think about it—it’ll automatically be tallied up on your Plink account when you use your card to check out. Plink is partnered with more than 50,000 retailers, including American Airlines, Gap, Sears, and Staples. 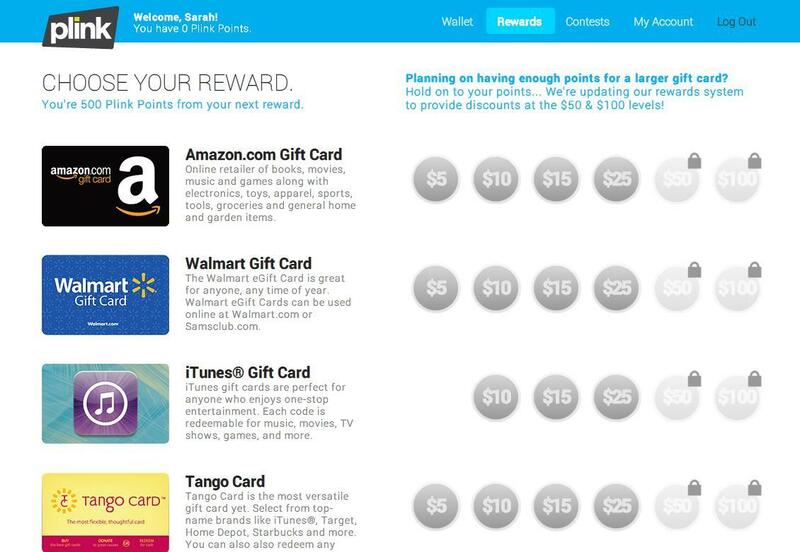 What’s nice about Plink is that it stacks on top of other rewards programs—even your credit card rewards program. In other words, you can use it while you shop through Ebates, FatWallet, or Swagbucks, and still earn that cash back. Plink Points can be redeemed for gift cards from stores such as Amazon, Barnes and Noble, iTunes, and Walmart, and you can also use the points to get airline miles on select airlines. Plink is incredibly easy to use, but its main drawback is that you do have to surrender your bank credentials in order to link your card. During the sign-up process, Plink will ask you to sign in using your online banking password—which might cause some people to be alarmed. The company assures us that all login credentials are securely encrypted with the same technology used by PayPal and Mint.com, and that no Plink employees are able to access any of the credentials. Plink won’t be offering anything special for Black Friday, but the sites will help you earn some extra cash if you happen to make any qualifying purchases during your holiday shopping spree. This story, "Make money via online rebate sites while shopping for Black Friday deals" was originally published by TechHive.